Tag the photo "Kose Cosmenience nature & Co" facebook homepage with key in receipt code number (Proof of purchase) in description area. Get your friends to "like" your photo. 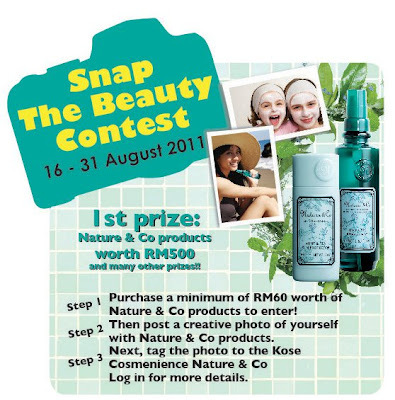 Visit KOSE Nature & Co Facebook fan page for more detail.